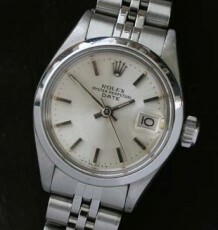 Ultra clean Rolex Air King Date with box and papers sold in 1989. 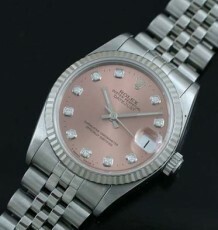 This watch was just serviced by my Rolex trained watchmaker and is keeping great time. 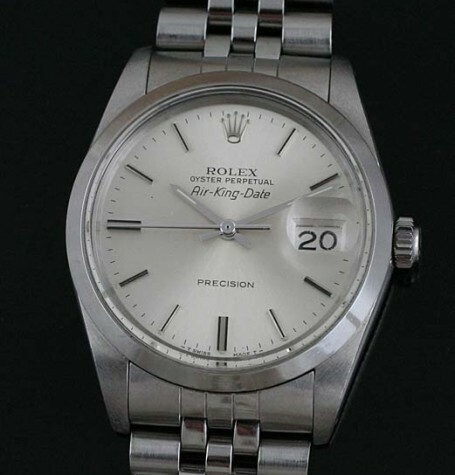 The Rolex Air-King-Date is one of those interesting models that ends up being a corporate mystery. 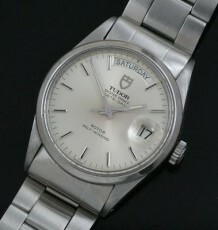 The Air-King-Date shares a case reference with the Explorer Date model sold in the USA, ref 5700. 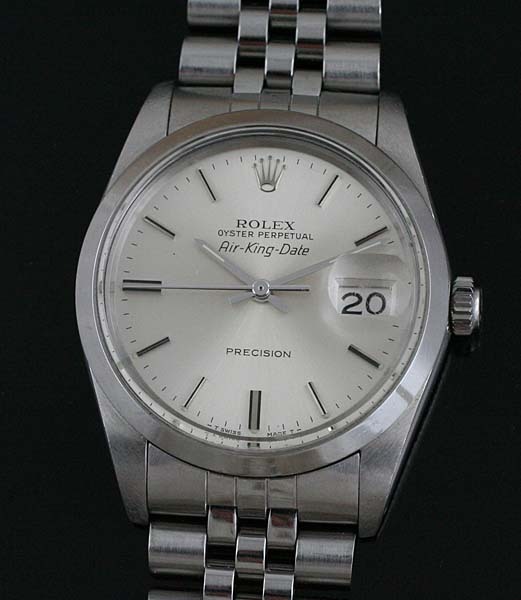 The 5700 was the only model Rolex made that used a date version of the 1520 or 1530, which is the non-chronometer version of the Rolex 1500 series movement lineup. The all stainless steel case is in excellent condition and features an original Rolex acrylic crystal and original Oyster crown. The watch was just serviced by my Rolex trained watchmaker and is keeping excellent time. The papers that come with the watch show that it was sold in December 1989 and was the last year of production for this unusual model. The serial number of the papers is off sequence by 2, so the retailer likely mixed up the warranty papers with another watch they had in stock. 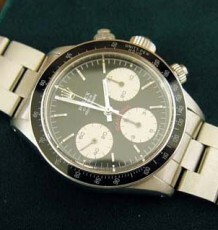 The watch comes with all the documentation including the Rolex calendar given when purchased makes this the ideal opportunity for a collector to acquire this complete package. The Oyster case measures 34 mm wide and 42 mm long. The original Rolex Jubilee steel bracelet is sized to fit just over a 7.5 inch wrist.